With a fine-grained top, sturdy hardwood base and whimsical scrolled legs, the hand-finished Marchella is über-inviting. 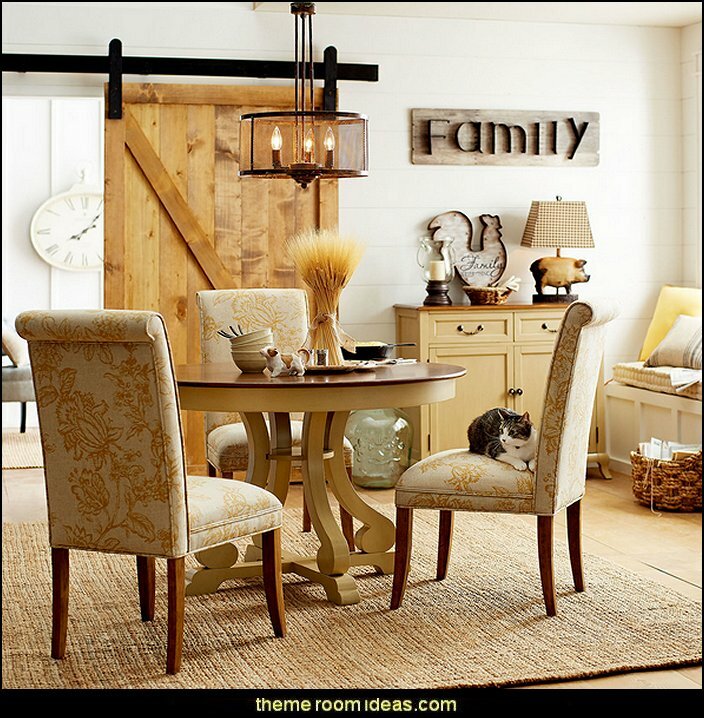 Pair with our matching chairs, or mix things up for a cheerful, eclectic look. Accommodates four with a big warm hug. 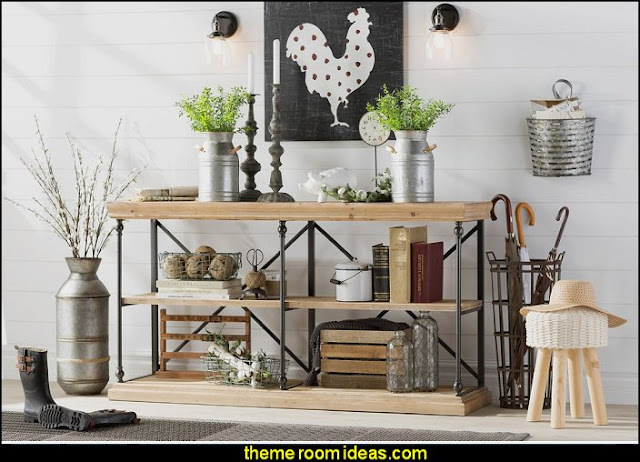 Whether you’re looking for some extra storage space or just want to add a little rustic style to your walls, this tin pot is a must-have accent. 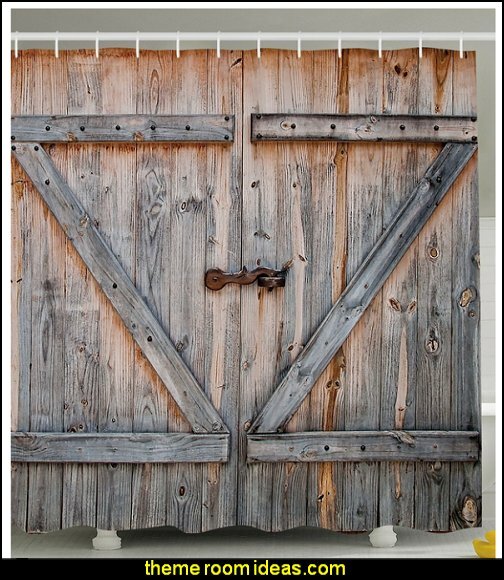 The gray stone finish and rusted accenting give this design its quaint vintaged look, while the three tin design adds a touch of farmhouse appeal. 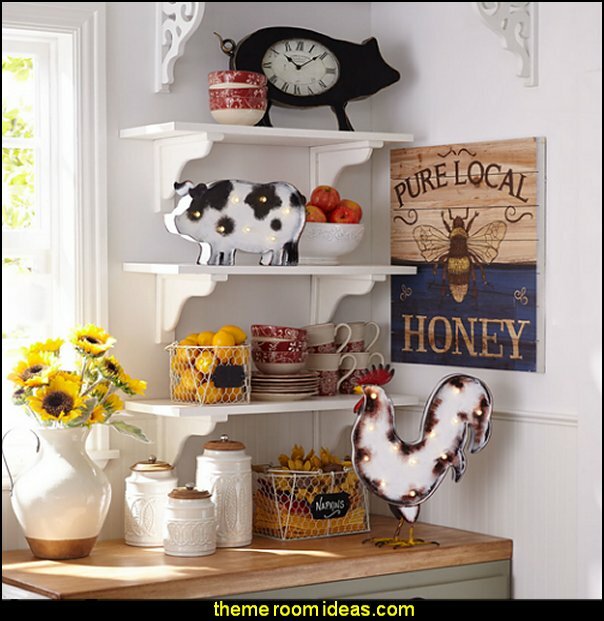 Try hanging this lovely decor on the side of your study desk for the perfect place to stow pencils, scissors, sticky notes, and more. Fill this tin pot decor with cutlery for a charming and convenient addition to your space. 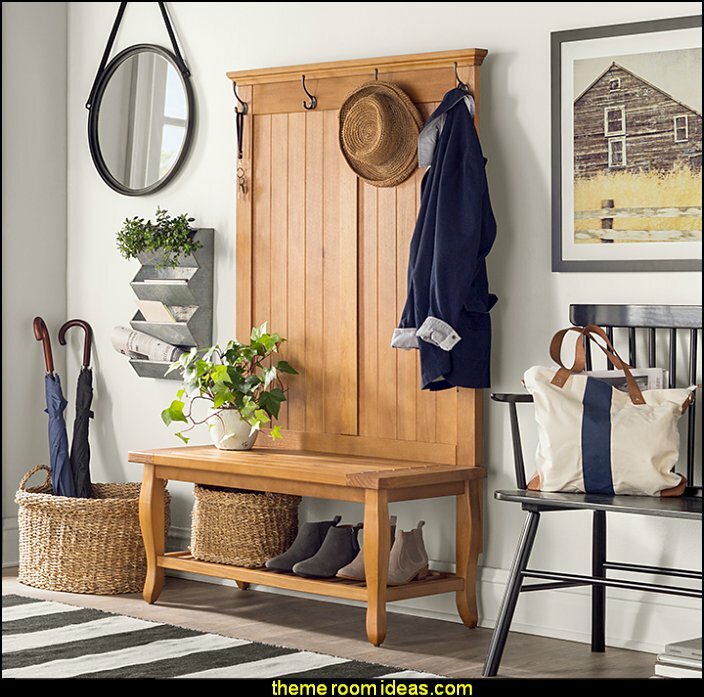 Pull this classic chair up to your dining table or breakfast nook to enjoy hearty family dinners, or add it to the foyer to tie together your stylish ensemble. 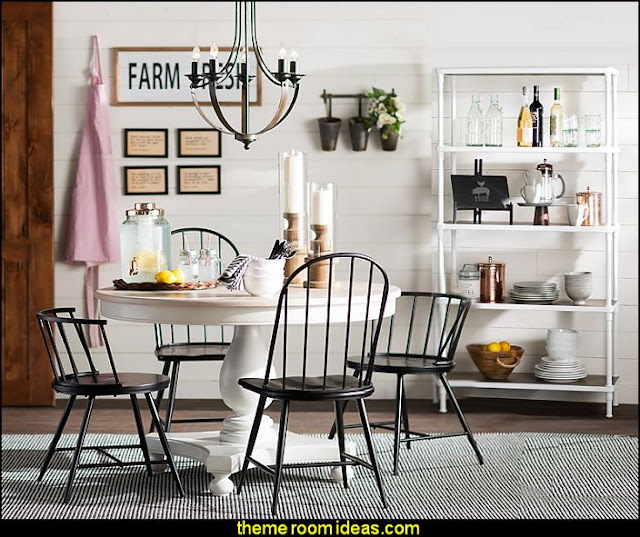 The antique milk pot is part of the garden accents line of home decorating ideas. This antique pot is a reminder of a bygone era that will add rustic appeal to your home or garden. 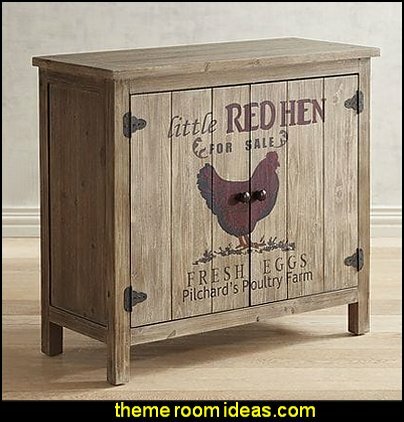 Constructed of galvanized steel, this can has 2 carry handles and nostalgic stamped label. 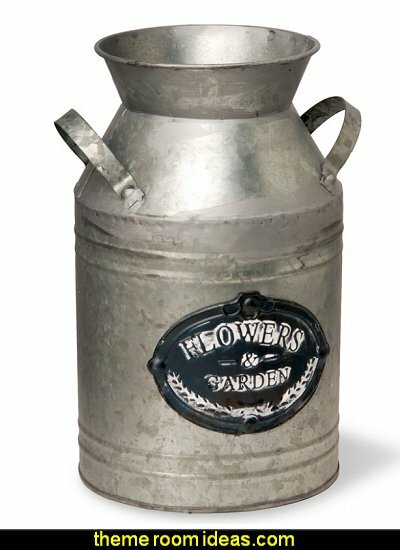 Display this milk can as is or as a container for artificial flowers or plant. Maybe you’re a city girl who loves the country, or maybe you’re a farm girl who’s proud of your rural address. Either way, our handcrafted, terracotta pitchers with iron handles will convey your sense of pastoral style. 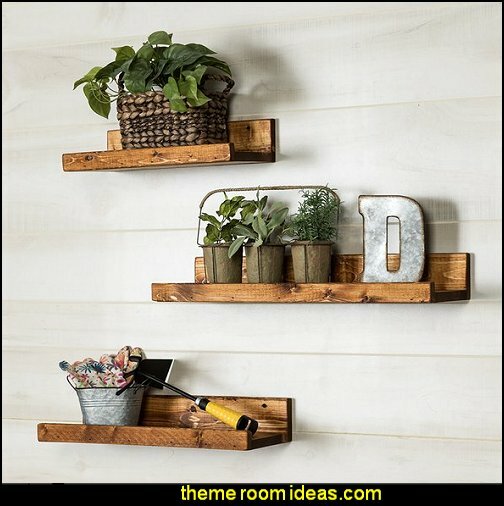 Use them to display dry floral arrangements or as accent pieces on their own. Now this is worth crowing about! Whether you have extra table linens, canned goods or scarves/mittens, our AidenCabinet has the right look for your farmhouse-style kitchen or mudroom. 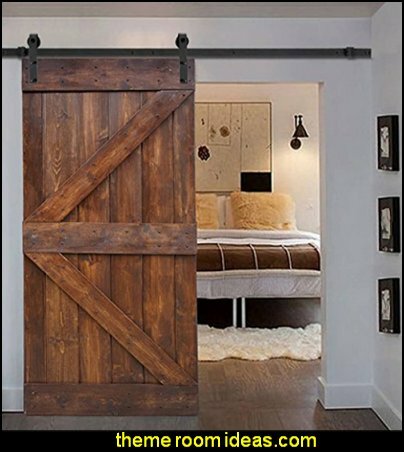 Crafted of fir and other hardwoods, it has plank-style doors that feature a vintage-style ad plus rustic hinges and door fasteners. 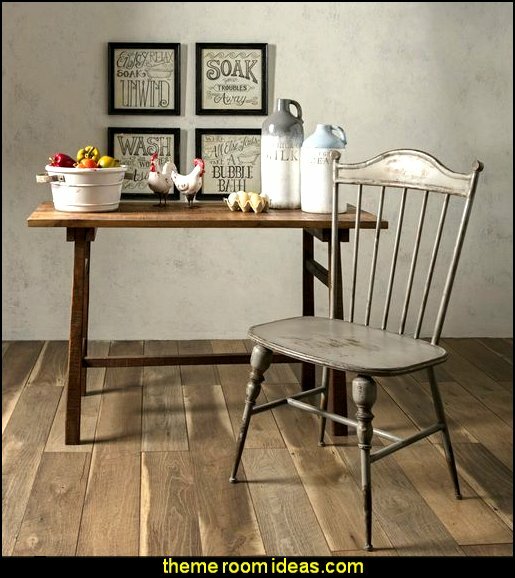 A warm walnut stain highlights the natural character and charm of the wood, while a raised lip on the front of each design helps keep staged items in place. The winds of change are blowing this piece right into your home! 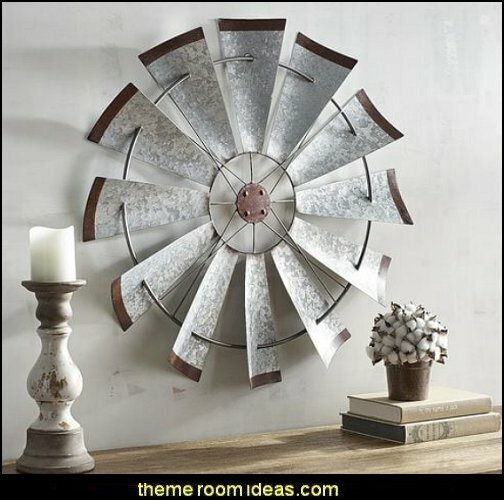 Made from galvanized metal, the windmill is made to scale and accented with rust to show real time aging. 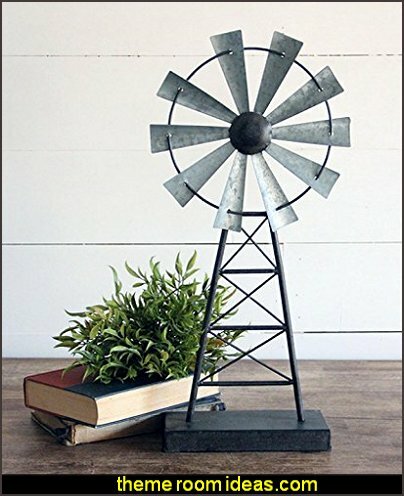 Frequently seen on farms of yesteryear, the windmill stood tall above the fields of corn and beans. We've used this iconic symbol and developed a vintage-style piece of wall art for your family or living room. Crafted of iron, it's near life-size at 30" diameter. 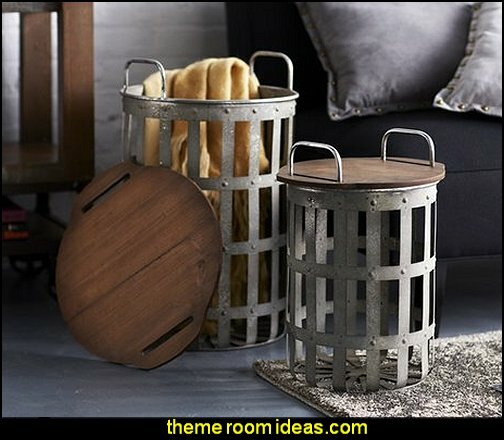 Metal baskets with wood top and large handles. 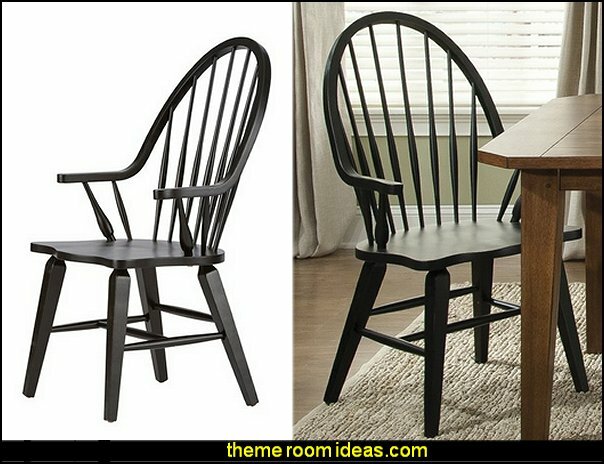 Can be used as storage or seating. 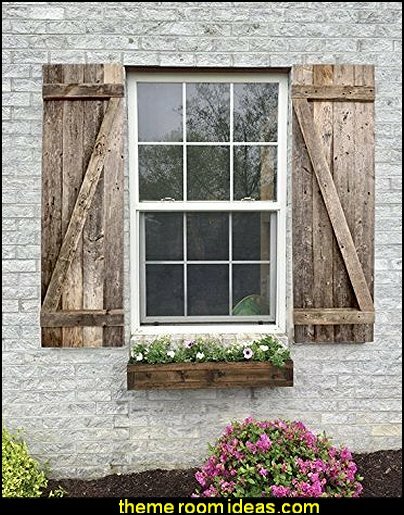 Unique design and look makes these easy to place in a modern or rustic home! Why wait for the cows to come home when they’re already here? 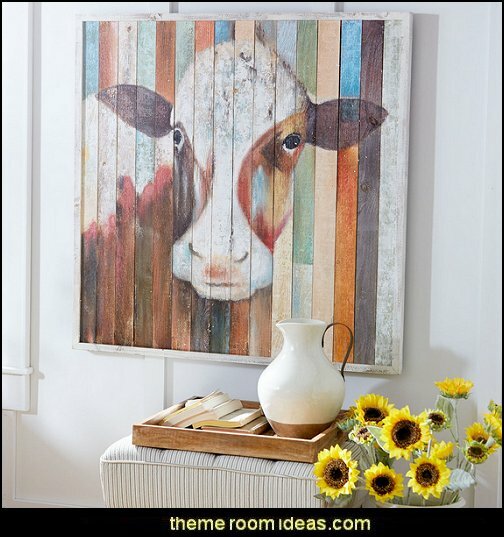 Hand-painted on pine to give you that made-from-pallets look, she'll be the belle of your wall—without the splinters. A little rugged, a little rustic and a whole lot of cool, our wooden pendant light is the ideal solution to your lighting needs. 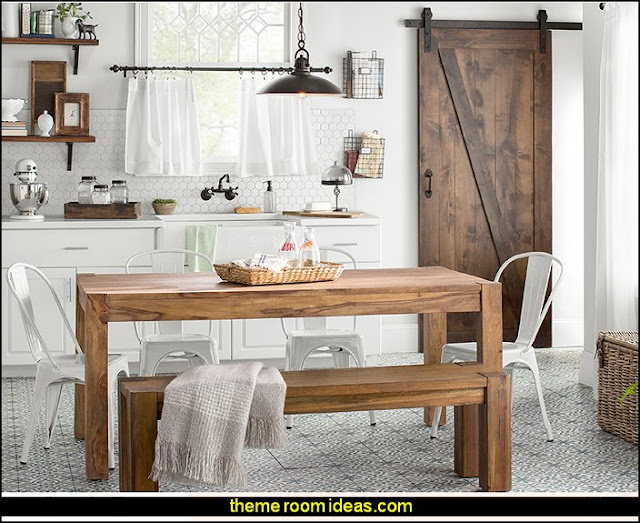 Be it in the kitchen or hallway, it illuminates any space with perfectly rounded style.